A 3mm polypropylene orthotic is rigid and it does not move or flex. This type is very useful for hallux rigidus / hallux limitus where movement of the big toe joint is very painful due to arthritis. 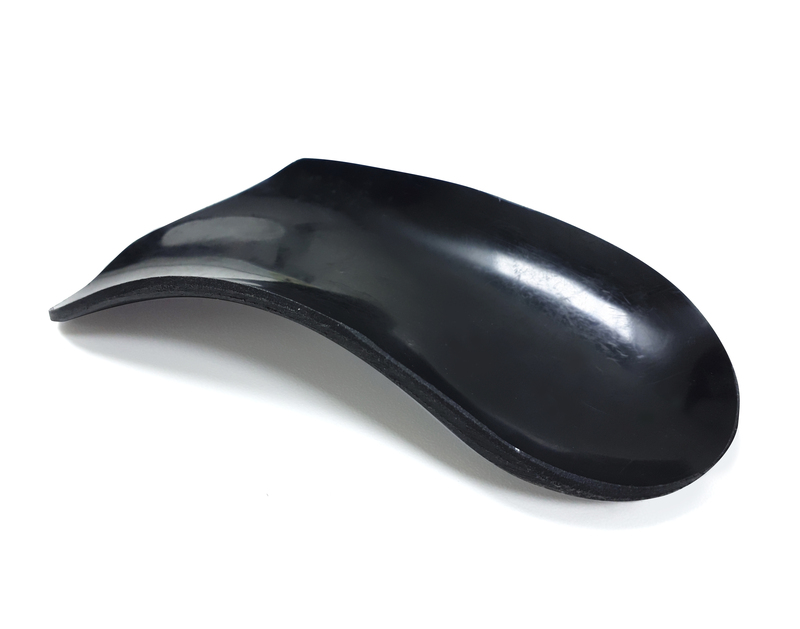 It is made exactly to the shape of the foot and is a passive 3D orthotic. How we make a 3D and 4D orthotic starts with the same principle. Visual analysis is made to determine the ideal foot and ankle position. Measuring angles, an accurate fitting of a corrective orthotic can be made. Sometimes, visual planning is not enough and the acquisition of a high-quality imaging process such as 3D CT scan may be required. The biomedical model, such as a plaster-cast taken from a shaped mould of the foot, is obtained to plan and print the 3D orthotic. With 4D orthotics, another process is added. Determining the movement and forces to be applied on the orthotic requires patient planning. Restriction of movement in a weight lifter is often required. More flexibility is required in a runner. During 4D orthotic manufacture, the dynamics of the required movement is forecast, depending on the movement and activity level. Video showing flat foot to normal arch foot corrected by using orthotic. Ive never heard of this kind of orthotic before. I would like to book an appointment with you guys as I think I HAVE THIS FLAT feet. My kids have this from me and my flat feet. Can we all come in together for checking? Should I check my orthotics? They are 3 years old from Adelaide and maybe I should get them reviewed? Thanks.